It’s been a while since I shared a treat recipe and truthfully, I try not to indulge in paleo treats too often. But, sometimes, you just have to indulge, especially during pumpkin season. 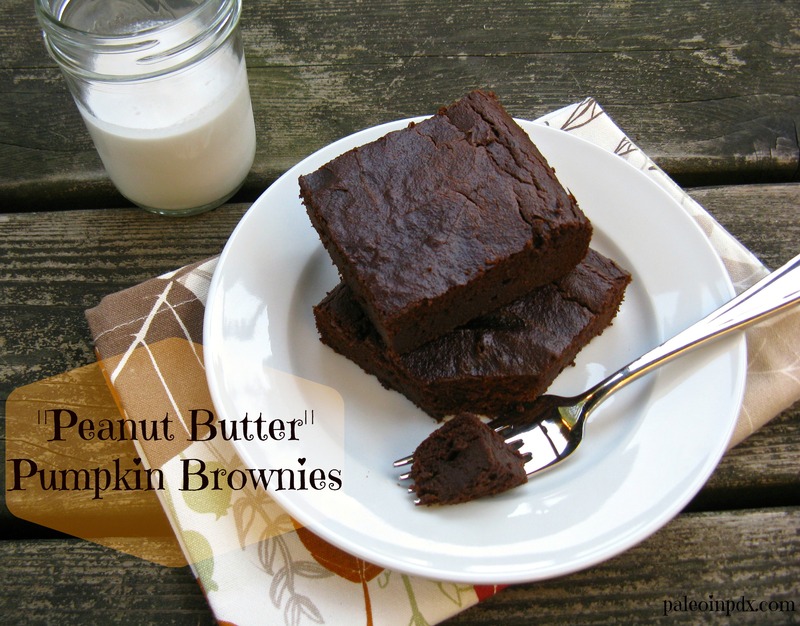 These “peanut butter” pumpkin brownies are totally worth it too! Anyway, if you want the recipe for my “peanut butter” pumpkin brownies, go check out my guest post over at Craving4more. It has been a while since you shared one of your treats, which makes this even better! I haven’t tried sunflower seed butter yet but will have to try it out some time! Recipe sounds and looks delicious! I know, it definitely has been a long time, which is good (and makes it more special, like you said). Sunflower seed butter is truly the bee’s knees! There’s three brands over here that I know of that make an unsweetened variety, but not sure if you can find it in your neck of the woods. It seriously has a peanut buttery taste and is so good!